Samsung Galaxy Note Book was did a very successful business and damages Apple lead in market by selling 7 million tablets. And now, Samsung is planning to release new version of same Notebook. 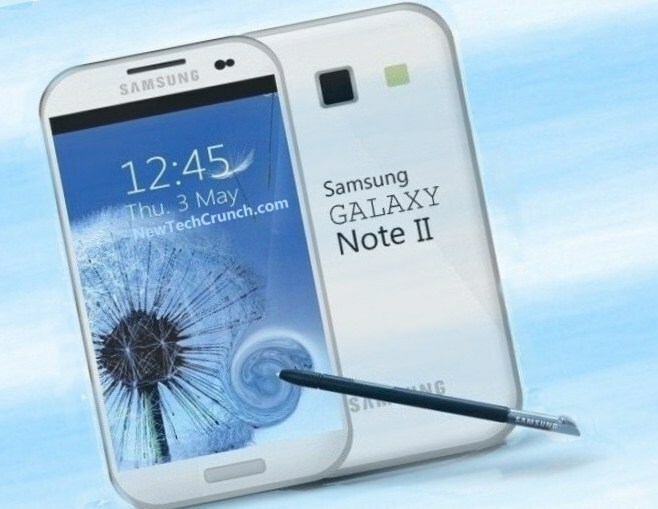 And it name will be Samsung Galaxy Note 2. It is equipped with mobile phone, notebook, media player, camera and business related different helpful applications at a same time. In dimension, its display screen size is 5.55 inch which is bigger than previous tablet with excellent high resolutions of 1680 x 1050. There is high probability that after launching (Release date is not confirmed yet) of new model Galaxy Notebook 2 will surely damage the market or sale of Apple iPhone 5, though it is considering about screen of iPhone 5 that it will be larger but Galaxy 2 have camera of 2 mega pixel with quad core processor. Samsung Company set new world record of earning so much profit from Galaxy Smartphone’s. Galaxy is also known as Murderer of iPhone, so by it you can roughly estimate about its high popularity. And it is estimation that at the end of second quarter of Samsung their profit will hit the range of 3.7 Billion to 3.9 Billion Dollars. And these stats are 79% more than previous year. And now Samsung the Company of Korea is become the biggest Company of the world which makes memory chips, mobile phones and flat screen. While company is not make partition of own division but it is a valuation that lonely Galaxy Series is generating 65% of total revenue to Samsung.